If you are as serious about coffee as I am you’ll love a k cup variety pack. They come in a variety of different sizes to let you sample many of their finest coffees. We’re not just talking any kind of coffee, either. This coffee is made from the highest quality Arabica beans which produce a nicely balanced brew the manufacturer, Keurig, likes to call Medium Extra Bold. 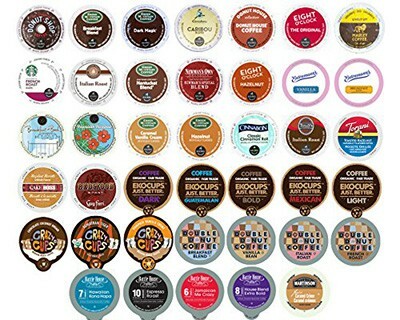 The best part about these k-cups bulk packs is, as you would expect, you can sample such a wide range of styles and flavors with such ease, provided you have a k cup coffee maker. But there are so many different types to chose from, and it’s hard to know where to start, and that’s where the variety packs are a great option. 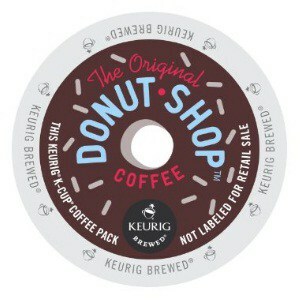 The Original Donut Shop is a coffee blend that should take you back to your favorite hangout and is one of my favorites. The donut shop down the street with the fresh coffee always brewing and with the rich aroma, you can decipher no matter where you are. That distinguishable aroma is intoxicating, and the smooth taste leaves you wanting a second or third cup. That’s what I love about the k cup variety pack; you’ll be able to enjoy good company and immerse yourself in long conversations without having to head down to the local coffee shop. You can have those friendly deep and meaningful conversations at home and never run short on your favorite brew; as the k cup variety pack will have you covered no matter who pops round for a ‘cuppa’. With the K-Cup Coffee Maker ready to go you can have a great tasting coffee first thing in the morning when you need that hit of caffeine to help you tackle whatever comes your way. I never liked having to get out of my car to race inside and stand in line just for my morning cup and well drive-thru never seemed as quick as what it should have been. I now have those two problems solved with the k cup coffee maker, and k cup variety pack means it’s all set up at home and ready to go. Not only have I saved myself a whole lot of time and money but have saved myself a whole lot of frustration too. I like that The Original Donut Shop blend of coffee is not so bitter that it tastes like tar. It’s got a nice bold taste with a slight floral note in the aroma which comes from the medium roast and it’s this lack of bitterness that leaves me wanting to savor each sip rather pounding it back and racing out the door. If I had to give this product a score on a scale of ten I would rate this 100-percent Arabica coffee an eight or nine for taste and an eight or nine for body. It’s quite simply a great cup of coffee and it still amazes me that it comes out of small plastic cups I stick into my k cup coffee maker. If you want to treat yourself to something truly special at a great price, you owe it to yourself to stock up on the k cup variety pack so that when friends drop round for that heart to heart there will be plenty of coffee love to go round.